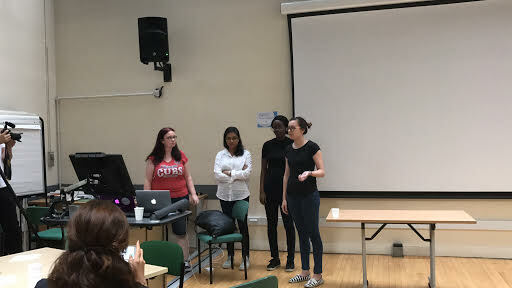 Our group’s Assel, co-organised a successful Summer Codeathon for the Anita Borg Institute London chapter. 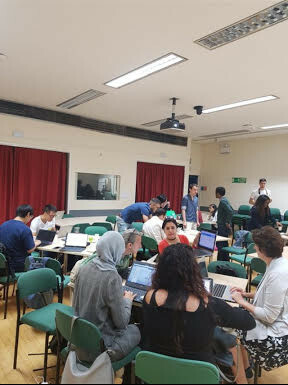 Some of our group’s members Nick and Rumi also participated in the codeathon as programming mentors. 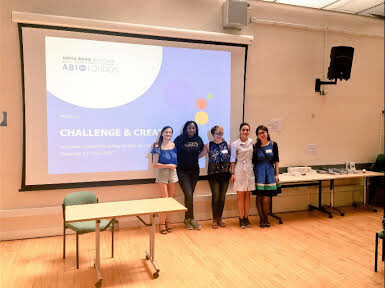 Assel who co-leads the ABI London Chapter (ABI.London), with Imperial’s PhD student Ira Ktena from the BioMedIA group, and android developer Adiba Maduegbuna at ASOS organised a Create and Challenge themed codeathon. 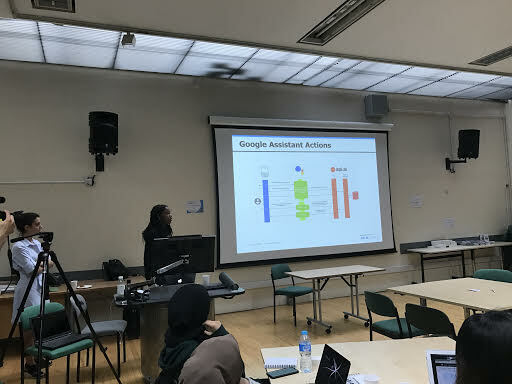 The codeathon brought together participants from various backgrounds, including industry and academia to brainstorm and prototype projects using Google’s new Google Assistant Actions SDK. 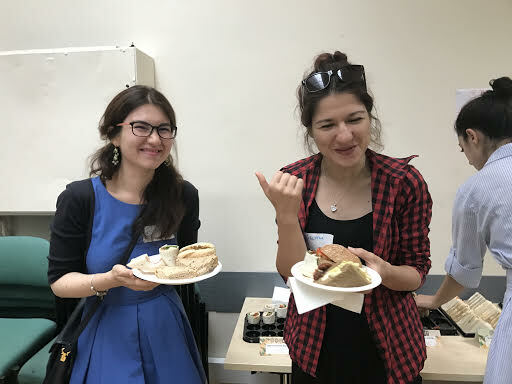 The event was sponsored by ABI, and hosted at UCL’s Centre for Advanced Spatial Analysis (CASA), coordinated locally by UCL’s PhD student Boyana Buyuklieva. 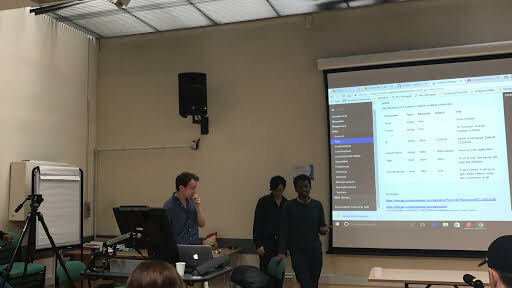 To kick-start the codeathon Nick made a demo in Go to show how to use Google SDK and integrate actions with the voice assistant. 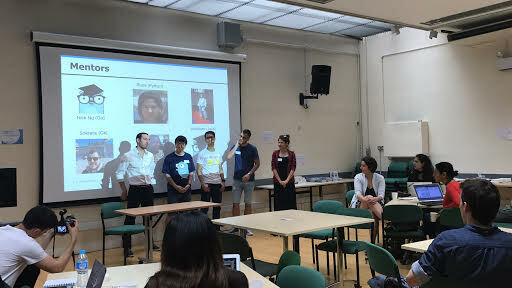 Projects presented at the end of the event included a recommendation system for locating gastronomic venues based on a user’s known taste, a speech-controlled assistant that provided gardening tips, a closet-companion that uses the local weather forecast to suggest clothing to its user and a system for tracking the volatile trends of various crypto currencies. The Anita Borg Institute for Women and Technology is a nonprofit organization founded by computer scientist Anita Borg. The institute’s primary aim is to recruit, retain, and advance women in technology.